Port-Au-Peck Chemical hose has a long, colorful history. See how it all began. See where it all began. 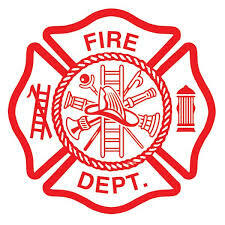 Fire Department patch, contact us. Your volunteers at Port-Au-Peck Chemical Hose and Oceanport Hook & Ladder trained to draft water from the Shrewsbury Inlet. 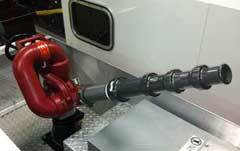 In drafting, firefighters use an alternative water supply, such as the Shrewsbury Inlet from which to get water. The end of Gooseneck and Shore Road have limited Hydrant pressure. This technique will help us fight fires more effectively in this area. Help Us Train to Help You! For more realistic training, fire departments sometimes burn structures that are destined to be torn down, such as commercial buildings, residential homes and barns. Situations where these structures are legally burned as part of a supervised fire training exercise are invaluable to fire department personnel. The Port-Au-Peck Chemical Hose Fire Company would like to know if you would allow us to use your soon to be demolished home for training purposes. 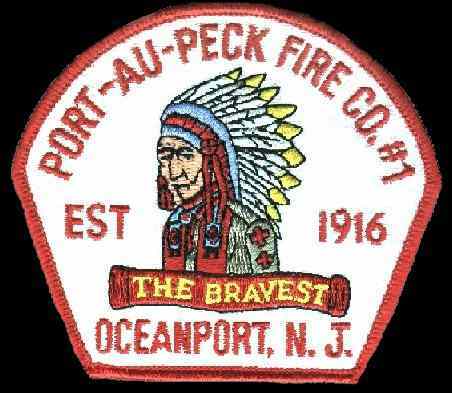 For more information, call 732-229-9771 or email us at info@portaupeckfire.org. At the Port-Au-Peck Chemical Hose Old Timers Night, we celebrated Dale Burds's Fifty years of volunteer dedication. 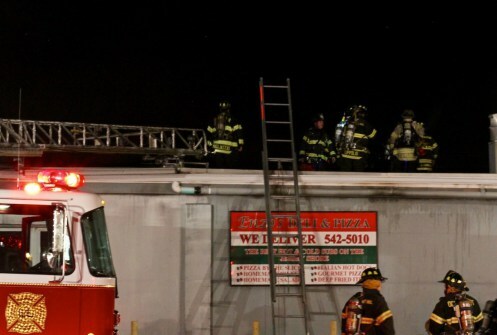 We are the local Fire compay of Oceanport. The Port-au-Peck Chemical Hose Co. Number 1 has been a vital link in the economic and social life of the Borough. During the rainy and high tide periods, many flooded cellars are pumped out. In the fall and spring, fields with dry grass are burned. Portable heaters need their space. Keep anything combustible at least three feet away. Keep fire in the fireplace. Use fire screens and have your chimney cleaned annually. The creosote buildup can ignite a chimney fire that could easily spread. Kerosene heaters should be used only where approved by authorities. Never use gasoline or camp-stove fuel. Refuel outside and only after the heater has cooled. Find a way for everyone to sound a family alarm. Yelling, pounding on walls, whistles, etc. Practice yelling "FIRE!" In a fire, time is critical. Don't waste time getting dressed, don't search for pets or valuables. Just get out!